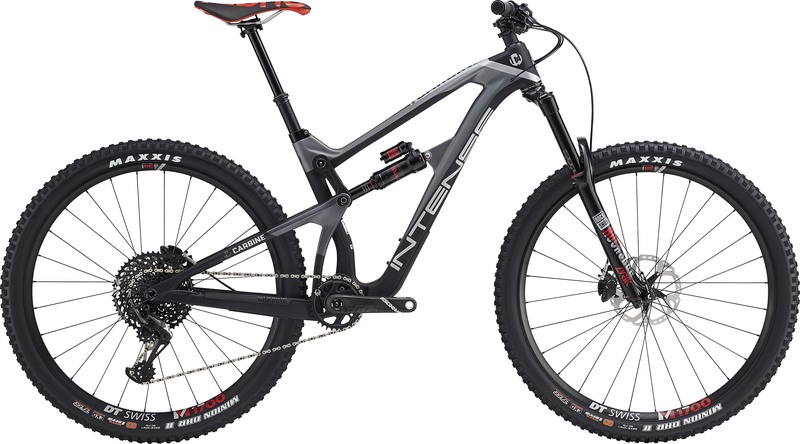 The Carbine has been transformed into a modern trail slayer. With an updated geometry and a longer reach for a more confidence inspiring ride. The JS Tuned suspension has been refined with longer links (including a carbon upper link) to optimize leverage curve, axle path and overall performance. This means plush, terrain gobbling action without sacrificing pedaling efficiency. 155mm of rear travel keeps it tracking smoothly over all types of terrain. 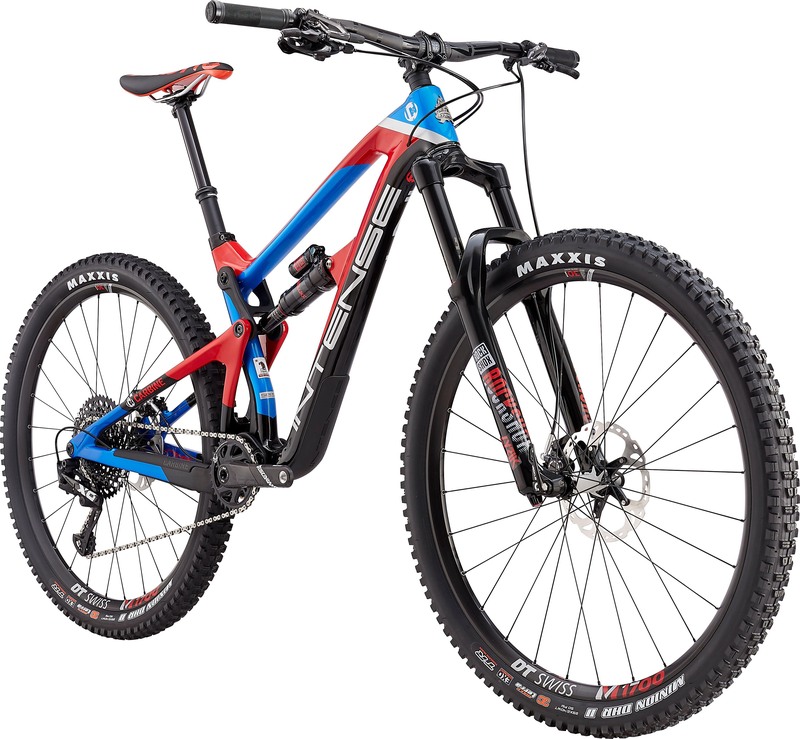 This makes the new Carbine an uncompromising 29” enduro race machine. Intense pairs the Carbine Pro’s high modulus carbon fiber frame with SRAM’s 12-speed X01 Eagle components that delivers a huge gear range to charge downhills, and then spin your way back up. 160/155mm of travel from the Rock Shox Lyrik fork and Super Deluxe rear shock will keep you on point. DT Swiss wheels wrapped in Maxxis rubber provide confidence when bombing downhill, and grip hard when railing high speed corners. Topped off with a Carbon cockpit by Intense, and Fox Transfer dropper post, the Carbine Pro is ready for weekend cruises with your buds or the next Enduro race.